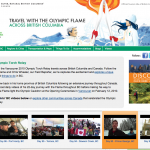 Chris followed the Olympic Flame producing travelogues about the great Canadian communities that participated in the torch relay, while promoting the local flavours of Canada along the way. 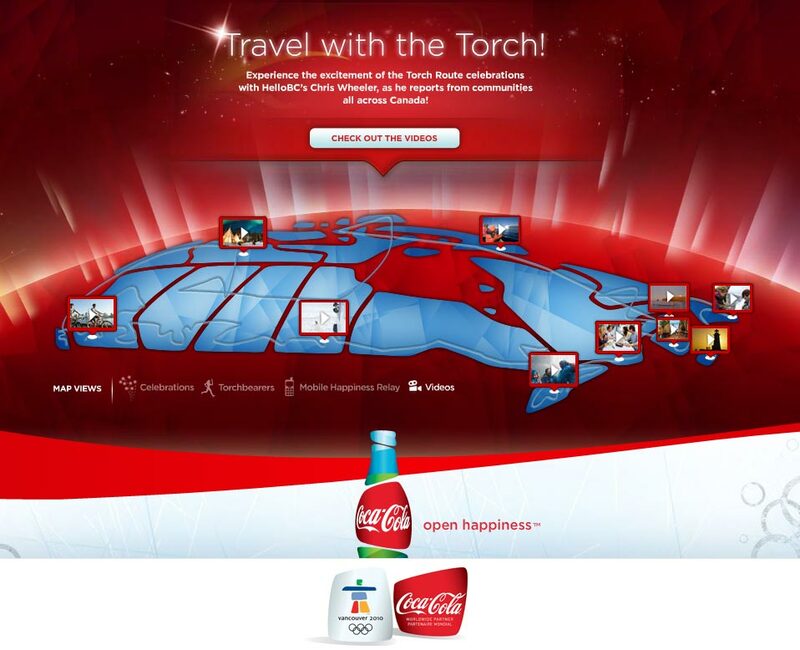 This was part of an innovative partnership between the Canadian Tourism Commission, Coca-Cola and Tourism British Columbia who initiated the program as a way to share the excitement of the Games. During the 106 day trip Chris filmed, hosted, edited, and posted a total of 49 videos. 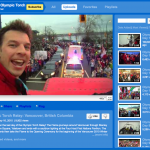 For the last 28 days that the Olympic Flame was in BC during its cross-Canada journey, Chris produced daily online videos featuring torch day stories and profiles of unique regional tourism destinations and experiences along the way. This is the first time in Games history that a host tourism agency has leveraged the power of social media to connect consumers with the Games experience through the excitement of the Olympic & Paralympic Torch Relays.